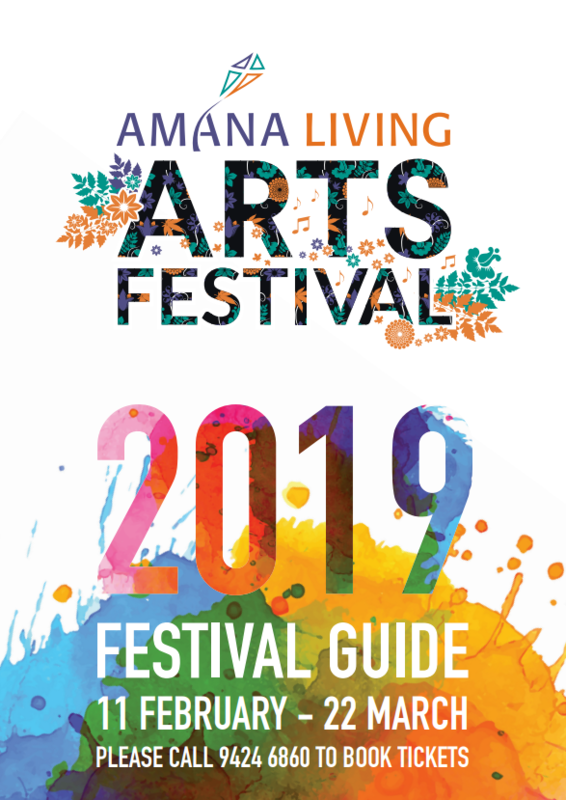 The Amana Living Arts Festival celebrates life, learning and friendship. Home care services can help you stay in your own home for longer, with more freedom to enjoy life, by providing the support you need. Amana Living are here to provide Home Care services whatever your needs. If you are still quite independent and active, you might need only a bit of help with daily chores. Or you might need more help to maintain your independence and keep active in your local community. Later on in life, you may want help with personal care or health needs, such as physiotherapy, podiatry and nursing. Depending on your needs and preferences, you may be eligible for Government-subsidised services such as Commonwealth Home Support Programme and Packaged Care. For those who are likely to need more home care services as time goes by. Amana Living also provides Short-Term Restorative Care and Top Up Services if you require more. Purchase this package to cover while your ACAT is being assessed or to add to your existing packaged. If you are approved for a Home Care package, you will be given one of four different levels of funding. These funds will be paid into your package by the government for you to use on approved services via your home care provider. 17.5% of single aged care pension ($10.43 daily). This fee is determined by the Government. Payable if your income is over a particular amount as determined by the Federal Government. Amana Living charges an administration fee of 10% and an hourly rate for services. This adminstration fee and hourly rate of service are paid out of your package of funding from the government. You may apply for the Daily Contribution Fee amount to be reduced if you have high medical and health related costs or are in financial hardship. If you think you may be eligible for this fee reduction please speak to our customer service team on 1300 850 146. NB: Reducing this daily fee will reduce the amount of funds you have available to use each day. What is provided for the 10% Administration fee? Below are the hourly rates that you will be charged from your home care package. Our minimum service time is 15 minutes and you are only charged per minute thereafter. Many other providers charge a minimum of 30 or 60 minute increments. The services below are available to clients who are eligible to receive Commonwealth Home Support Programme (CHSP) funding. We will help you work out which services you need and arrange for those services to be delivered. If you are eligible for Packaged Care, the range of services available to you is too wide to list here. Your package of services will depend on what you need and want, and the funds available in your budget. Our skilled Client Service Managers can help you work out what would best meet your goals. Click download to access our pricing schedule for Home Care Packaged. 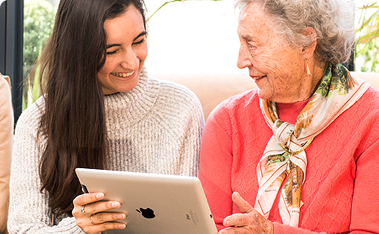 Home care is the name for a range of care and services that help you, or the person you care for, to continue living at home for as long as possible. Services range from weekly help around the house to a daily visit to provide nursing or personal care. If you access Government-subsidised services, the cost is the same, whatever services you choose. This will be worked out according to your individual circumstances. Any unspent funds accumulate for you to use later on. Depending on your needs and preferences, you may be eligible for Commonwealth Home Support Programme (CHSP) or Packaged Care. We can help you find out what you are eligible for. We can also arrange top-up services if you want more than the services available to you under subsidised care. Why would I go to Amana Living for my home care services? As your needs change, the services you receive at home from Amana Living can also change. We will work with you to determine the best combination of services for you and the most cost-effective way to access those services. We will make sure they are delivered at the right time by skilled and friendly staff. Where does Amana Living home care operate? We operate across the Perth metro area and in Kalgoorlie-Boulder. 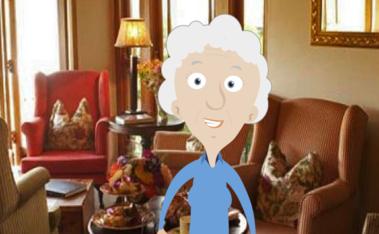 Can I talk to someone about Amana Living Home Care? We welcome phone enquiries. We won’t give you the ‘hard sell’. We’re here to guide you as to the best options for you. Please call us on 1300 26 26 26. I can't thank you enough for your support. Mum and I value and appreciate your professionalism, kindness and understanding. I also appreciated you asking me how I was, how I was coping and how did I feel... that was really nice and it is something that people never ask me and I sometimes feel that I am just expected to do what I do ‐ so thank you! I have some good ideas from our meeting so will start to put them in place and see how we go. Thank you so very much for all your support and help with Dad from the start of his care with Amana Living. We have been extremely fortunate to have you as Dad’s care coordinator and are eternally grateful for all your help and especially for giving us Vimala!! 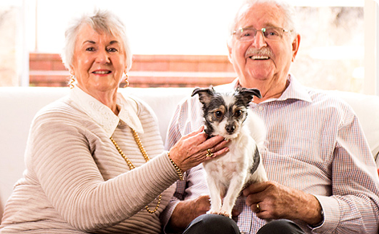 Understanding aged care can be a little overwhelming so we’re here to help you make sense of it all. Watch this video to discover how Amana Living can help you.